This article was originally published on ArchDaily as “Bahá’í Temple of South America Wins 2017 Innovation in Architecture Award.” Toronto-based Hariri Pontarini Architects’ Bahá’í Temple of South America has won the 2017 Innovation in Architecture Award presented by the Royal Architectural Institute of Canada (RAIC). 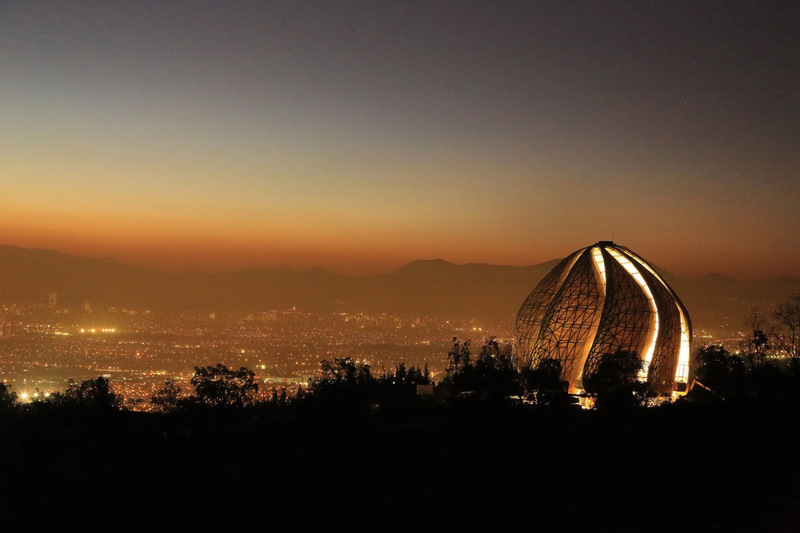 Located in the foothills of the Andes Mountains outside Santiago, Chile, the domed building was designed and built using computer modeling, measuring, and fabrication software, as well as custom glass, all of which culminated in nine monumental veils that frame an open worship space for up to 600 visitors. Completed in 2016, the project took 14 years to realize. The Bahá’í Temple of South America reflects innovations in materials, technology, and structure. For instance, a search for materials that capture light resulted in the development of two cladding materials: an interior layer of translucent marble from Portugal, and an exterior layer of cast-glass panels developed, in collaboration with the Canadian glass artist Jeff Goodman, for this project. In addition, the Temple is designed to withstand extreme earthquakes and wind. Thousands of individually engineered steel members and nodal connections comprise the super-structures of the wings, each of which rests on concrete columns on seismic bearings. I am very pleased to receive this award, said partner-in-charge Siamak Hariri, FRAIC. The brief was for a new type of sacred space, a place of worship that is attractive, open, and inviting to people of all faiths or none at all. Innovation was at the heart of the project. The award is a testimony to the deep collaboration of literally hundreds of people. The Bahá’í Temple of South America will be honored at the RAIC/OAA Festival of Architecture in Ottowa between May 24 and 27. News via: The Royal Architectural Institute of Canada (RAIC). Written by Sabrina Santos. Want more from ArchDaily? Like their Facebook page here. The jury has been announced for the 2017 Moriyama Royal Architecture Institute of Canada (RAIC) International Prize. Established in 2014 by Canadian architect Raymond Moriyama in conjunction with the RAIC and the RAIC Foundation, the prize consists of a monetary award of CAD $100,000, a sculpture designed by Wei Yew, and an invitation to participate in the jury for the following award. Last year’s winner Li Xiaodong, of Beijing-based Li Xiaodong Atelier, will serve on the jury alongside notable figures within Canada’s architecture community, including Monica Adair, co-founder of Acre Architects, Manon Asselin, co-founder of Atelier TAG, George Baird, founding principal of Baird Sampson Neuert Architects, and Peter Cardew, founder of Peter Cardew Architects. Bryan Avery, founder of London-based Avery Associates Architects, will be the international juror while Barry Johns will serve as the jury chair, with David Covo, associate professor of architecture at McGill University, acting as the professional adviser to the jury. According to a press release by the RAIC, the prize is awarded to a building or group of buildings which “reflects Moriyama’s conviction that great architecture transforms society by promoting social justice and humanistic values of respect and inclusiveness.” The award is open to any architect, team of architects, or collaboration led by an architect, and limited to one submission per contestant. In addition to the main prize, three students of Canadian schools of architecture each receive scholarships of CAD $5,000 on the basis of a written essay. 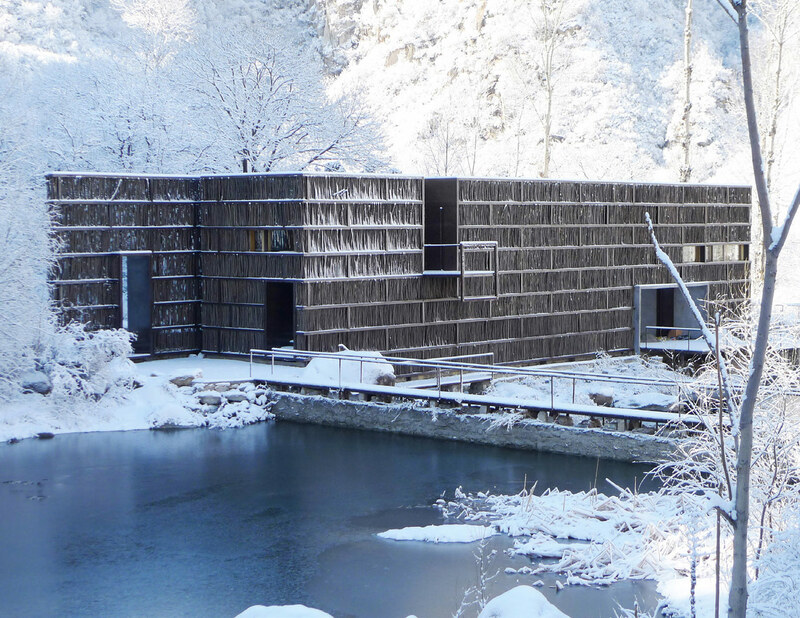 "I look forward to an innovative, transformative architecture to not only win the Prize but awaken ideas and thoughts that will alter our collective aspiration for the future of humanity," Moriyama said. For more info on the prize, visit the prize's website here. Submission details are listed here.